Strenuous and prolonged exercise can lead to magnesium deficiency (hypomagnesaemia). “Exercise under certain conditions appears to lead to Mg depletion and may worsen a state of deficiency when Mg intake is inadequate. Whereas hypermagnesaemia occurs following short term high intensity exercise as the consequence of a decrease in plasma volume and a shift of cellular magnesium resulting from acidosis, prolonged submaximal exercise is accompanied by hypomagnesaemia“. “Experiments on animals have shown that severe Mg deficiency reduces physical performance and in particular the efficiency of energy metabolism. Several studies have been performed to test the effect of using oral Mg supplementation on muscular work performance. A 4-week administration of Mg to athletes increased their physical performance. This amelioration was shown by registering the maximum oxygen consumption as well as the PWC170, using both a running board and bicycle ergometry 78. Mg supplementation resulted in a significant decrease in protein release from the muscle cells during a marathon run and total creatine kinase (CCK) in serum increased less 79-80. Mg supplementation has a significant effect on respiration indices and improves lactate elimination in competitive rowers during exhaustive simulated rowing. In moderately trained subjects, the effects of magnesium supplementation were tested on some cardiorespiratory variables monitored during a 30 min submaximal effort test 81. In the Mg group, a significant decrease was found in blood pressure, heart rate and oxygen consumption. The results indicate that magnesium supplementation induces an overall improvement in cardiorespiratory performance”. “A recent longitudinal study of a group of medium-distance runners carried out over a training season also demonstrated plasma Mg reductions during the competition period, although there were no variations in erythrocyte Mg. Since both their energy intake and their work load remained more or less constant during the study, a relationship can be established between plasma Mg changes and the stress of the competition period 48. In conclusion, exercise under certain conditions appears to lead to magnesium depletion both in humans and in animals and may worsen a state of deficiency when Mg intake is inadequate”. “The effects of feeding varying concentrations of dietary Mg on exercise capacity were investigated in rats. 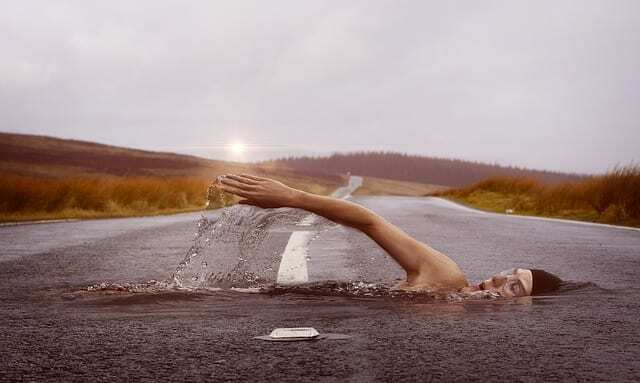 Based on treadmill or swimming tests, the Mg-deficient rats showed a markedly lower exercise endurance capacity than rats fed the higher levels of dietary Mg 5-7,54”. “As compared to the resting condition, Mg-deficient rats showed a significant decrease in RBC Mg concentration, and a significant increase in plasma free fatty acid and lactate concentrations. These studies, which clearly show that dietary deficiency may influence exercise performance, also indicate that exercise adversely affects RBC Mg concentration when Mg intake is inadequate. An improved magnesium nutritional state can prevent the decrease in RBC (red blood cells) Mg induced by increased physical activity”. Therapy by oral physiological doses of Mg represents a major step in treating Mg deficit. The normal treatment consists of oral intake of 5 mg/kg.day of Mg for the adult in a Mg salt that is well absorbed and well tolerated. It represents the exclusive treatment for Mg deficiency”. Baths (effective, but less economical, than a compress. Works on the whole body). Spays (very effective and economical way of getting required doses of magnesium and maintain healthy skin condition). 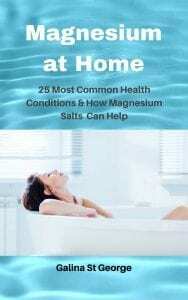 Mix magnesium with water to avoid skin irritation. Underarm deodorant (diluted with water, sprayed or applied otherwise) – removes unpleasant ordours and delivers magnesium throught the skin. Massage medium (although Magnesium Oil is not actually an oil, it has an oily consistency, and is a very effective way to deal with muscle aches/pains). Mouth wash, gargle – weak water solution. Can be used to deal with infections and halitosis. Foot baths (effective and safe, especially suitable for children. 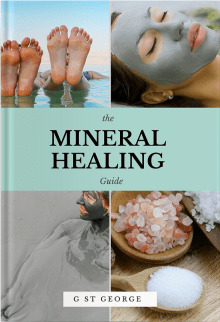 Excellent for tired legs, muscle cramps, as well as a way to deliver magnesium to the body). 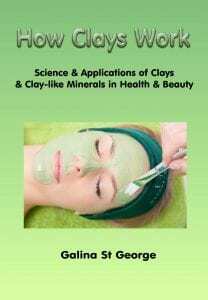 As part of clay and mud packs (body wraps, compresses, masks, poultices). 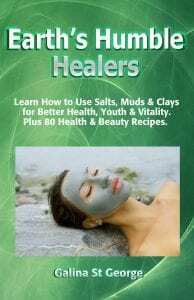 Excellent for the skin and a great way to bring Magnesium to the body. Very low concentrations can be used for nose washes, sitz baths / vaginal douches to deal with infections & thrush. Some people may find that pure magnesium oil may irritate their skin. If this happens, dilute magnesium oil with water tosuit your skin type. This is an amazingly relaxing and therapeutic treatment. It is aimed at those who are desperately deficient in magnesium and need quick supplementation. The treatment uses far-infrared heat to open up pores and boost circulation not only in the skin, but in deeper body structures. With the pores open and blood flow increased, magnesium stands a better chance to be absorbed quickly and in large quantities. The treatment is preceded by a massage to stimulate circulation and soften up the tissues. The infrared heat helps open up the cell membranes, which contributes towards magnesium absorption. Apart from being very therapeutic, the treatment is thoroughly relaxing, thanks to the effects of magnesium and the infrared heat. It promotes detoxification on the cellular level, helps to relieve aches, pains, muscle spasms, arthritis, sleep problems, fatigue, boost immunity, promote relaxation, help relieve water retention and is a really great start to a weight loss programme. People generally lose a lot of water during the treatment which has an added physical effect of feeling lighter afterwards.